Get the advantage you need to compete in the worldwide food and wine tourism marketplace! Wine, Food, and Tourism Marketing is an overview of contemporary practices and trends in food and wine tourism marketing. International in scope, the book draws on studies from Canada, England, France, New Zealand, South Africa, and Scotland for analyses of contemporary practices and trends that help you develop, implement, and maintain strategic competitive advantages. The book looks at case studies of business operations, seasonality, destination image, and the development of business networks. 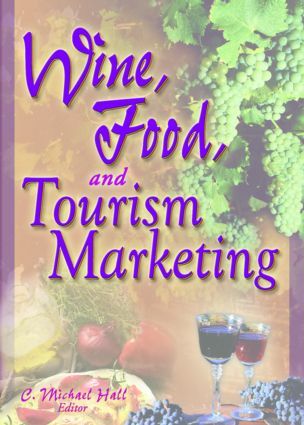 Wine, Food, and Tourism Marketing is an essential read for practitioners and educators involved in tourism and hospitality, marketing, food and wine studies, and rural regional development.